Does your home have a garage door, a garage door opener, a broken spring or any other garage door part that needs repair? Columbus Garage Door can help you today! We are the leading garage door company offering overhead garage door services such as new installations, repairs, garage door opener installation and repair. We also provide general garage door maintenance throughout Columbus and nearby areas. If it is a new garage door you need, we have a full line of garage door styles available at competitive prices. We understand that selecting the perfect garage door to fit your price, quality, and style requirements can be daunting. That is why our trained professionals take the time to fully explain the benefits and differences of each door we offer. Not every garage door need is the same and that's why we want you to pick the one that is best for you. 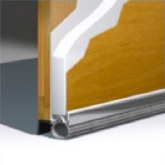 Columbus Garage Door offers a full line of commercial and residential doors to fit your personal preference. Our garage door offerings include wood, steel, aluminum, or fiber glass. A garage door is the face of your home so let us help you make the right decision so you can get the look you want. Columbus Garage Door is committed to providing exceptional service and we guarantee 00% complete satisfaction! Steel doors are built with low maintenance, heavy-duty steel. 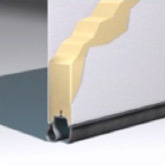 Choose from 000 single, 2000 double or 3000 triple-layer construction for your desired level of energy efficiency and noise control. Experience the strength, security, and piece of mind you get with steel. By combining environmentally friendly recycled wood fibers and high-tech resins, JELD-WEN wood composite doors are virtually impervious to climate changes. 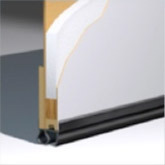 They are resistant to cracks, splits, separation, shrinkage, expansion,rot, and will not rust. JELD-WEN doors give you the strength of steel, and the durability and look of a beautiful, low-maintenance wood door. wood doors are built on durable, heavy-duty, commercial steel frames with an extra thermal barrier of polystyrene insulation. These handcrafted carriage house doors can then be designed and custom finished to reflect your own style. With wood you get it all: quality craftsmanship, modern functionality, and timeless beauty. © Columbus Garagedoor 200 All Rights Reserved.